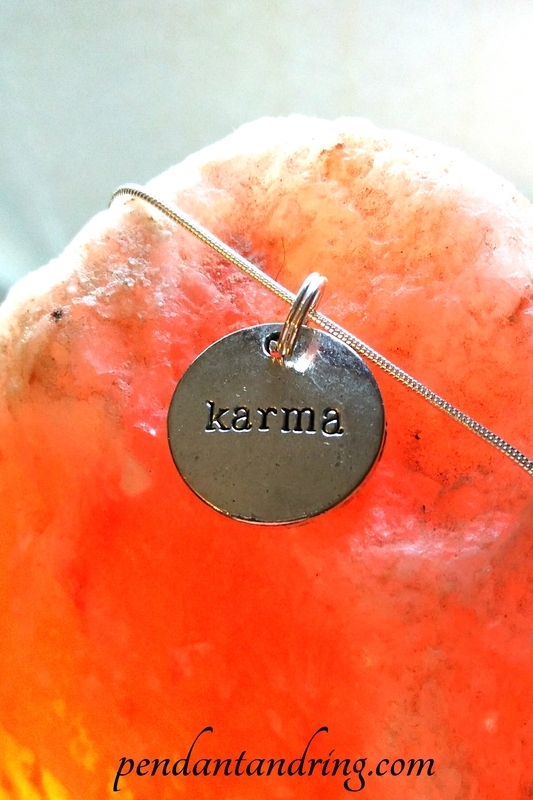 The stamped karma charm is 3/4 of an inch (17mm) across, and the chain is 28 inches (71 cm) long. 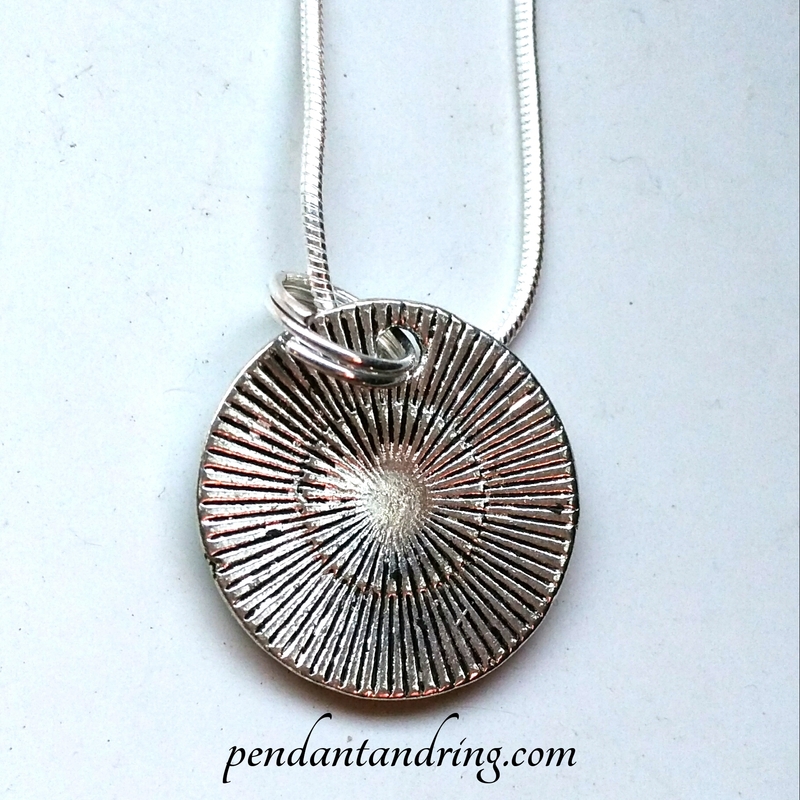 You can see the sunburst design on the reverse of the charm in the third photo. Contact us in the Add Message box at checkout. 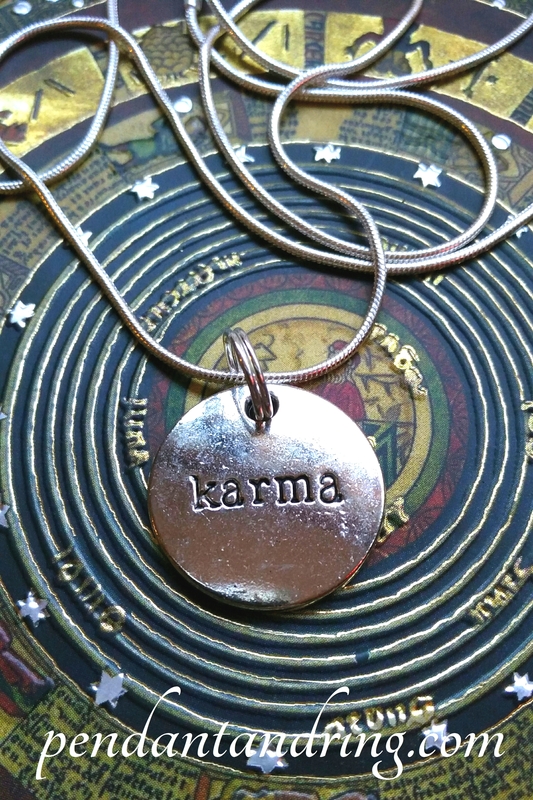 Let us know the recipient’s address and what you want to say on the gift note!